Doris looked up and cleared a swathe on the window. Mrs Good coming up in the rain, a baguette protruding from her bag. 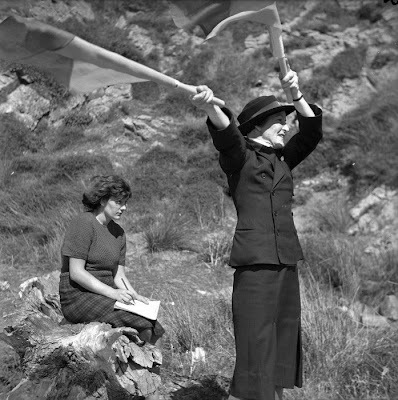 Women's Royal New Zealand Naval Service recruit learning semaphore on Somes Island, during World War II.